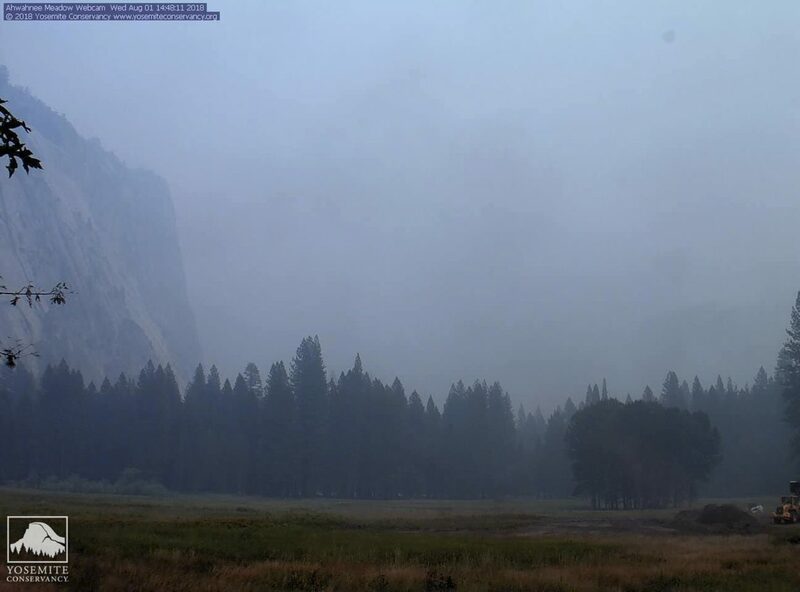 In this Wednesday, Aug. 1, 2018 image from a Yosemite Conservancy webcam, smoke from wildfires obscures the Ahwahnee Meadow at Yosemite National Park, Calif. Yosemite National Park could reopen its scenic valley and other areas Monday, Aug. 6, 2018, if conditions improve after a 12-day closure due to nearby wildfires. 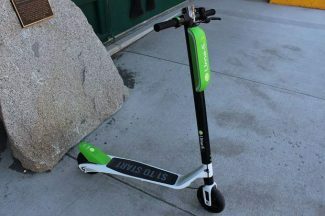 The park’s iconic cliffs have been shrouded in so much smoke that the air quality in Yosemite is currently worse than Beijing. 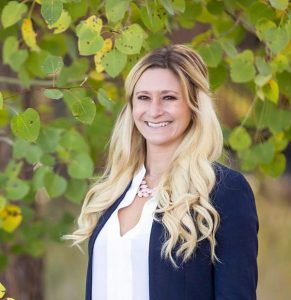 FILE - In this July 25, 2018 file photo, Hannah Whyatt poses for a friend's photo as smoke from the Ferguson fire fills Yosemite Valley in Yosemite National Park, Calif. Yosemite National Park could reopen its scenic valley and other areas Monday, Aug. 6, 2018, if conditions improve after a 12-day closure due to nearby wildfires. 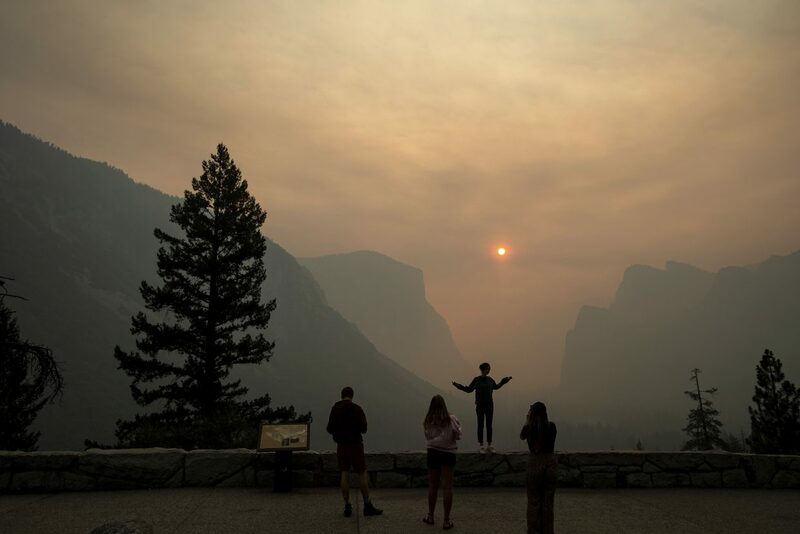 The park’s iconic cliffs have been shrouded in so much smoke that the air quality in Yosemite is currently worse than Beijing. 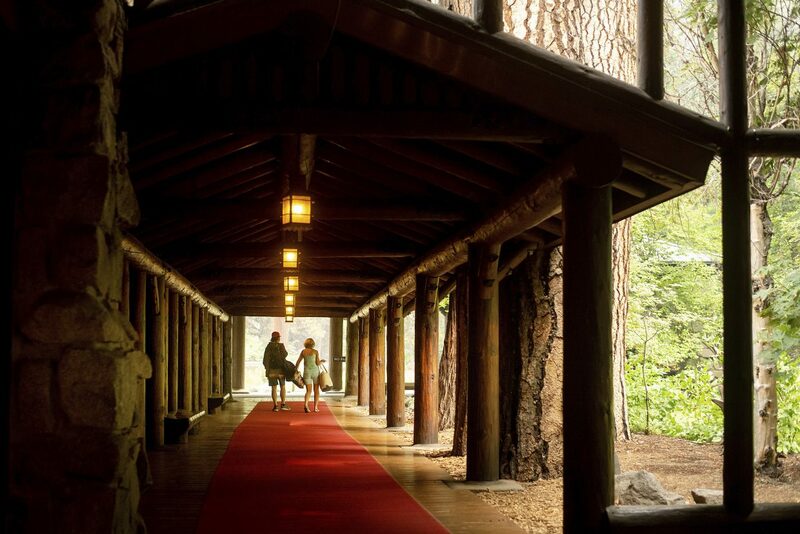 FILE - In this July 25, 2018 file photo, guests leave the The Majestic Yosemite Hotel‎, formerly The Ahwahnee Hotel, shortly after it closed in Yosemite National Park, Calif. Yosemite National Park could reopen its scenic valley and other areas Monday, Aug. 6, 2018, if conditions improve after a 12-day closure due to nearby wildfires. The park’s iconic cliffs have been shrouded in so much smoke that the air quality in Yosemite is currently worse than Beijing. 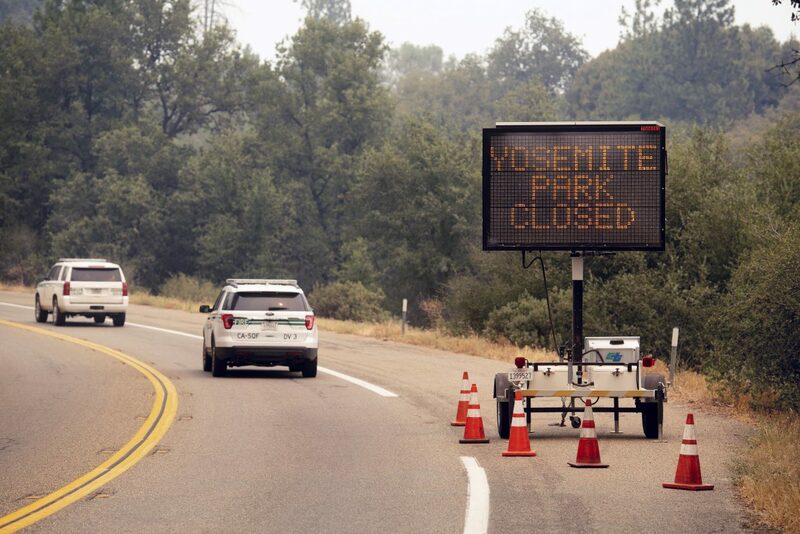 FILE - In this July 25, 2018 file photo, a sign on Highway 41 announces the closure of Yosemite National Park near Oakhurst, Calif. Yosemite National Park could reopen its scenic valley and other areas Monday, Aug. 6, 2018, if conditions improve after a 12-day closure due to nearby wildfires. The park’s iconic cliffs have been shrouded in so much smoke that the air quality in Yosemite is currently worse than Beijing. SAN FRANCISCO — Yosemite National Park’s iconic cliffs are shrouded in so much smoke from nearby wildfires that the air quality is worse than anywhere in America and is rivaling Beijing.